First eBay and PayPal, and now Hewlett-Packard (HP). The tech giant has confirmed its plans to separate into two publicly-traded companies. Hewlett-Packard Enterprise will focus on HP’s business solutions, such as enterprise technology infrastructure, software, and business services. In the process, the company has confirmed around 5,000 jobs will be cut. 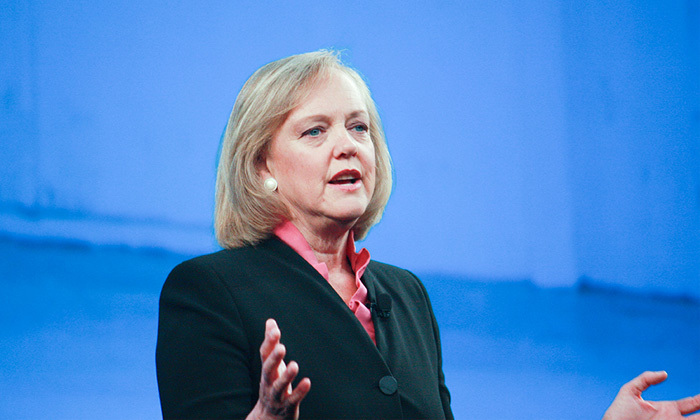 The present company CEO Meg Whitman will be president and CEO of HP Enterprise, with Pat Russo, current lead independent director, as chairman of the board. The second company, HP Inc., will retain the current company logo, and will focus on the personal systems and printing businesses. It will be led by the current EVP of printing and personal systems, Dion Weisler, as CEO and president; while Meg Whitman will chair the board. The decision coincides with the company approaching the fourth year of its five-year organisational turnaround plan. “The decision to separate… underscores our commitment to the turnaround plan. We will be in an even better position to compete in the market, support our customers and partners, and deliver maximum value to our shareholders,” said Meg Whitman. In an investor presentation on its website, HP gave a wider update of its restructuring plans. In addition to 45,000 to 50,000 job cuts which were already announced earlier this year, the demerger will see another 5,000 jobs cut. Once the restructure is complete, the total headcount of HP will have been culled by 55,000 positions. The demerger is expected to be completed by the end of fiscal 2015, by when HP shareholders will own shares of both Hewlett-Packard Enterprise and HP Inc. The transaction is intended to be tax-free to HP’s shareholders for federal income tax purposes, said the company. Is it true smaller companies in Malaysia offer better equality than their larger counterparts?.. Are candidates wearing engagement rings high maintenance? This is the case according to executive coach Bruce Hurwitz who has sparked a debate on what not to wear to a job interview. ..